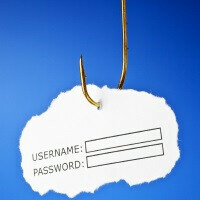 A phishing scam has been targeting Apple iPhone users recently. There's no need to be afraid, but you have to keep watch over iMessage for texts with the following content – "Your Apple ID is due to expire today. To prevent termination confirm your details at http://appleidlogin.co.uk – Apple Support". If you see anything like this on your iPhone, delete it immediately and move on with your life. Don't visit the site and don't input your user name and password in there because it's not a legitimate Apple web page. Mind you, the URL could be different from this one, but the pattern is the same – a fake Apple website posing as a legit one. Just so you know, an Apple ID never "expires" – you either remove it yourself if you don't want it, or Apple will quietly store it in a directory in a data center somewhere among the countless ones like it. The Cupertino company also makes it clear that users should never send credit card numbers, account passwords, or other personal information unless a legitimate service requires it and the information is provided with the user's consent. This is not Apple but a phishing scheme that people are blaming Apple for up above. typical excuses from fan boi time to feed you poor soul some APPLE BARS!! As of your post, not a single comment has blamed Apple.